Banned episodes? Yep! The Pokemon series was a highlight of our childhood. Getting up early on Saturday, just to catch the new episode and sing the Pokerap. However, some of the episodes never quite made it to the television set in America due to some of its content and the FCC’s personal opinions of the content. Last week we mentioned a banned episode in a previous article – Dark Moments in Pokemon Part 2 – that featured Ash going to the Safari Zone and having a gun pointed at his head, also showing the warden of the Safari Zone shooting at Team Rocket in an attempt to stop their shenanigans. So, in this discussion we decided to talk about some of the banned episodes of Pokemon, while explaining why they were banned. This banned episode was a very sexualized one. 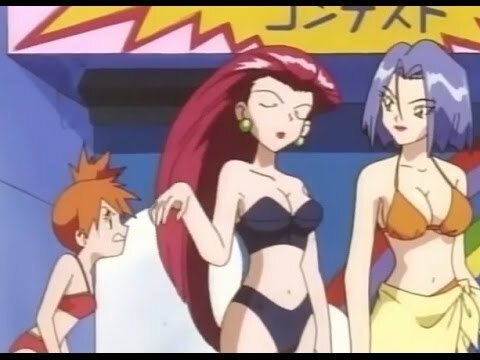 Featuring Team Rocket’s James using an inflatable body giving him gigantic breasts. Also, it one scene shown Misty in her bikini being examined by an older man stating that he would ‘have fun with her when she is older’. For obvious reasons this show was banned after a couple airings in the United states, though the edited version air for a while, it isn’t anywhere to be found on the reruns anymore. 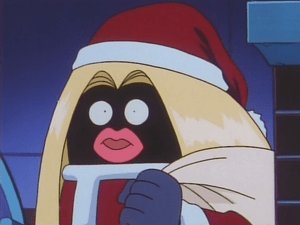 This episode was banned due to Jynx’s original design of black skin. It was stated that it was a negative representation of the African-American community and needed to be removed from the line up in both the American airing as well as Korea. Though it is still available in the Cartoon Network streaming, VHS set, and the original DVD set. Jynx has since been redesigned with purple skin as to not offend viewers. These banned episodes were banned from airing for the same reason as the previously mentioned episode. Jynx’s color wasn’t fixed yet and they both featured the controversial black skin. Never airing outside of Hong Kong, Taiwan, South Korea, and Japan, this episode had a large focus on Jynx prior to the redesign of its black skin. It is not available in English. There you have it, 6 banned episodes, mainly focused on a controversial skin tone, that you can’t find without some major digging. We would like to know what you think, should these episodes had been aired and kept in the American line up? Comment below, and also share it with a friend to see what they have to say. Thank you for reading.